The novel tells the story of a Russian aristocrat living under house arrest in a luxury hotel for 30 years. Visit Amor Towles website where he has a wonderful piece answering questions about how his novel, A Gentleman in Moscow came about. Norman Eisen tells the story of the historically significant Petschek Palace where he lived for three years as U.S. ambassador to the Czech Republic beginning in 2011. He uses the 1920s neoclassicist mansion and several of its most notable residents to tell the turbulent history of a country torn by war, occupation and revolution. 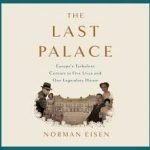 NPR's Scott Simon talks with Norman Eisen about his new book, The Last Palace. Read the transcript from the NPR Interview on Prague's 'Last Palace'. They called it a book that changed the consciousness of America and the world. 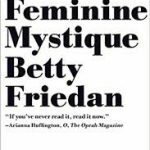 Now considered a groundbreaking, classic—Betty Friedan's The Feminine Mystique defined "the problem that has no name," that launched the Second Wave of the feminist movement in 1973 and has been awakening women and men with its insights into social relations, which still remain fresh, ever since. 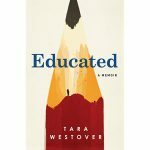 Became a national bestseller, selling over 1 million copies.